Following on from last week’s bridal traditions – we’re on to the easiest, and perhaps most fun line ‘something new’ – or, a simple excuse to go shopping in the name of tradition! Your wedding dress is the most obvious answer to this line – unless, of course, you are wearing a vintage or family dress, in which case it forms the perfect ‘something old’ or ‘something borrowed’. There is understandable excitement when buying anything for your wedding day – but why not make your purchases last a little longer? Perhaps look at investing in a classic pair of gorgeous shoes that you will happily wear for years to come – a beautiful reminder of the first day you wore them. Even though you will soon have two new rings, if you’re looking for a little more sparkle, a pair of earrings or hair clip that you can wear to special occasions – or perhaps on your anniversary each year are other options of items that can be re-worn and remembered. Your ‘something new’ doesn’t have to be appreciated for one day only – think of making the purchase last for years to come. For a novel ‘something new’ – why not buy a new perfume? Perhaps make an occasion of it and go shopping for one with your husband-to-be : wear it for the first time on your wedding day. Our sense of smell is so closely linked to our memory, that every time you wear if afterwards, you will both be transported back to the moment he saw you for the first time on your wedding day. 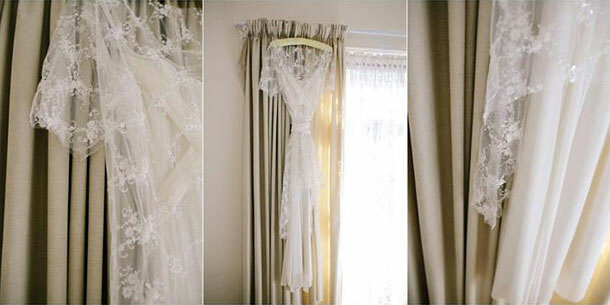 While your wedding dress will be the most likely candidate for ‘something new’ – it doesn’t have to end there. There are also many budget-friendly options if you are looking to save wherever you can – a new nail polish will give hands an extra boost and is easily something you can keep and use afterwards.